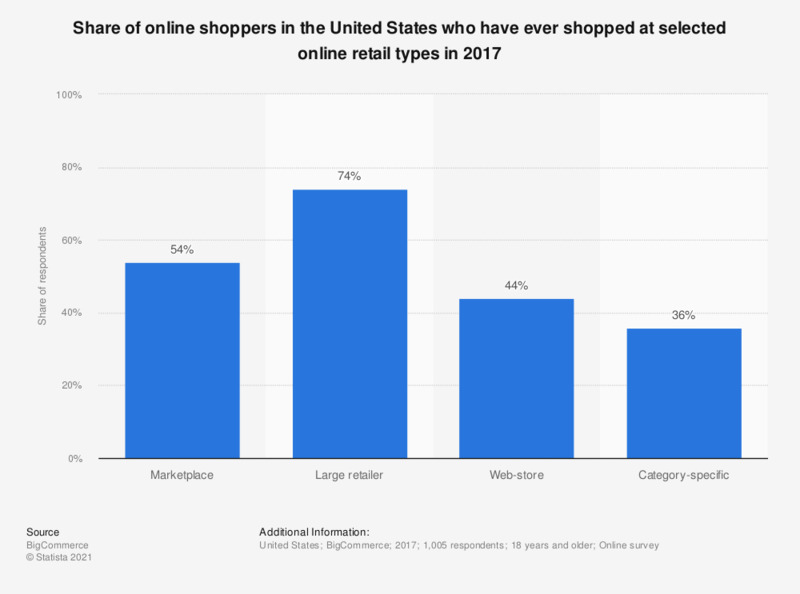 This statistic presents the most common types of stores that U.S. online shoppers have ever shopped at as of, sorted by retail type. According to the 2017 survey results, 44 percent of survey had ever shopped at web-stores. Large retailers were ranked first with a 74 percent usage reach,.